PHOTOKLIK’s principal, Peter A. Sellar, is an award-winning photographer based in Toronto Canada, who has been capturing images of exteriors and interiors. Taking on commissions internationally, he creates vibrant visual interpretations of architectural spaces with a dedication to quality and innovation. Each project is taken on with a strong personalized approach. PHOTOKLIK provides clients with highly sophisticated photographic solutions by applying a fine art photography approach. The very dramatic, three-dimensional effect of the images created by Peter, is accomplished through a combination of unorthodox lighting techniques and his understanding of the design intentions of the client. By working closely with the client, PHOTOKLIK delivers solutions that help clients achieve their long-term objectives. Peter A. Sellar is a graduate of the University of Technical Sciences in Kosice, Czechoslovakia where he studied in the faculty of Architecture. Peter has also worked in film and television as Lighting Director, Cameraman and Assistant Director. Professional Interior & Architectural Photographer serving Toronto and surrounding area. Vivacious. Energetic. Bold. All words that describe both photographer Stephani Buchman and the interior design images that she captures for her clients. Stephani has an extensive background photographing beautiful spaces for publications, websites, design firms, interior designers and home renovation reality television shows. Stephani is adept at establishing a creative environment in which she works in tandem with her clients to produce the strongest images possible. Aristea is a freelance photographer based out of Toronto. Her passion for spaces and landscapes has her photographing interiors, architecture and environmental portraits. Her work has been published in Toronto Life and Style at Home magazine. Toronto based interior and architecture photographer, providing outstanding marketing images for designers, builders and architects as well as restaurants and hotels. With over 28 years of experience, Arnal Photography works with designers, builders, developers, architects and magazines creating award winning architectural photography. Arnal Photography can be seen in the masthead photo credits with: HomeFront, Conde Nast, Canadian Architecture & Design, Dwell, Azure, Reno & Décor, Holmes magazine, and others. We work regularly with some of the biggest developers in the GTA, including Kaneff, Queenscorp, Tridel, Empire Communities, Lifetime Developments, Concert Developments and a host of others. We are also among only 7 photographers Canada-wide to be invited to have our work showcased on world-architects.com Arnal Photography works with a simple singular ideal in mind. With every assignment, regardless of size, we create the highest quality creative imagery possible with attention to detail and service throughout the process. 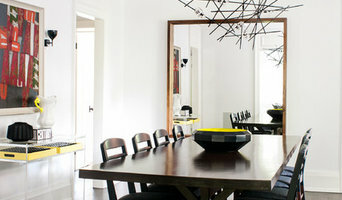 Kiely Ramos is a Toronto-based photographer specializing in interiors and architecture. Photographer Kelly Horkoff is the owner of K West Images, based in Dundas ( Hamilton ), located in the Greater Toronto Area, Ontario Canada. With over 20 years experience as a commercial / advertising photographer Kelly is passionate about his craft as a visual story teller. He's highly creative, energetic, detail oriented and a true master of lighting. Kelly collaborates closely with his clients to clearly understand their needs, discuss ideas and address any challenges. Clients include editorial magazines, residential and commercial interior designers, kitchen & bath designers, builders & architects, skilled trades, hospitality, landscape architects & designers and pool companies. Please contact Kelly for more information about his services or to discuss your upcoming project. Birdhouse media is a powerful, professional service that has the ability to get your properties noticed. High Definition Video tours creating a visual experience unparalleled by photos or panoramas. What are you waiting for? My name is Anthony I am the owner of Fixed Exposure Photography. At our company we strive to provide images that are exactly what our clients envision. We include clients in every step of the way, starting from gathering what type of emotion and story they are trying to tell with each image. After images are taken we work closely with our client to dial in exact colors and quality to the image to insure the final project is exactly what they envision. Photographer working specifically with Landscape Architects and Design Build companies. John Trigiani is an Architectural Interior photographer based in Toronto, Canada all over Ontario as well as Naples (SW) Florida. John’s refined style and sense of lighting combine in every project he shoots, which have earned him a broad client base shooting all styles of residential and commercial interior design & architecture as well as beautiful spaces for print publications, websites, design firms & home renovation companies. John has a strong ability at establishing a creative atmosphere in which he works in tandem with his clients to produce the strongest images possible in a collaborative effort. Professional Interior & Architectural Photographer serving Toronto and surrounding area. Nasim Shahani is a multi-disciplinary designer specializing in Photography and Graphic Design from Toronto, Canada. Her specializations include commercial / residential photography, corporate identity, brand development, websites, advertising, videography, print and publication, packaging, book design, editorial, and environmental graphics. She has been involved in a variety of projects that incorporate photography for publications, websites, design firms, interior designers and home renovation. Before you call any potential photographers, make sure they have good references. Friends who've sold or rented homes before are great resources, as are local real estate agents. Look through each Ontario photographer's online portfolio to make sure what you're looking for is being offered. Once you've done that, it's a good idea to walk around your home and write down exactly how many and what types of shots you'll need. Include any specifications you might have, such as angles, things to consider about your home’s Toronto, ON site, the time of day you think will be best and aspects of your home you want to highlight. Find a home photographer on Houzz. Narrow your search in the Professionals section of the website to Toronto, ON photographers. You can also look through Toronto, ON photos by style to find a room you like, then contact the professional who photographed it.